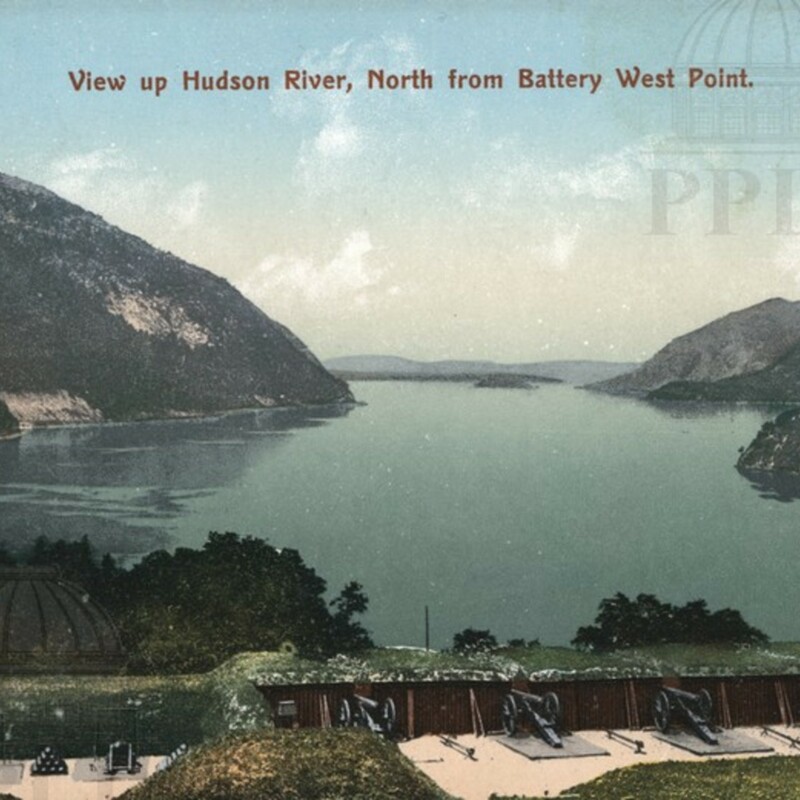 Color-tinted photograph of the view of the Hudson River from West Point, looking north. 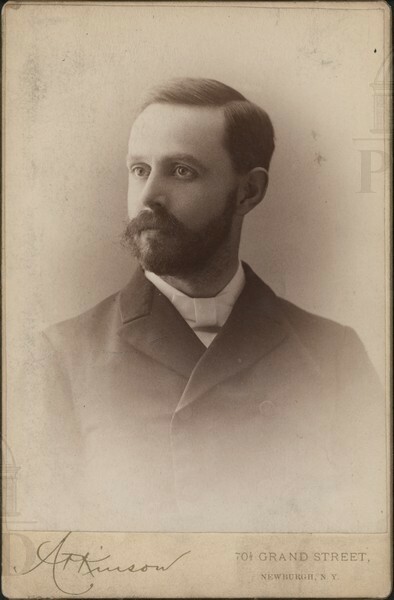 Portrait of William Alexander Smith, Superintendent of Schools; 1902-1909. 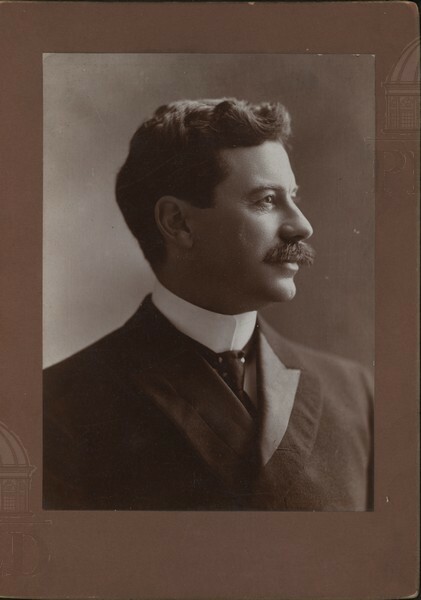 Portrait of Sylvester R. Shear, Superintendent of Schools; 1910-1920. 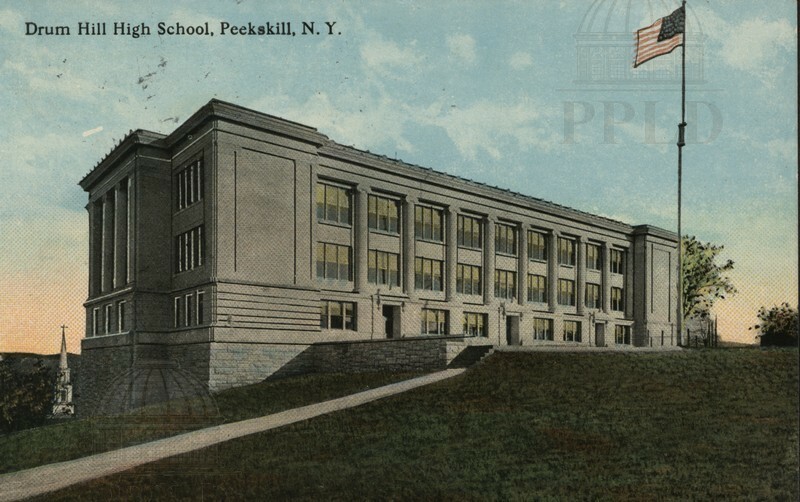 Color-tinted photograph of the Drum Hill High School in Peekskill. 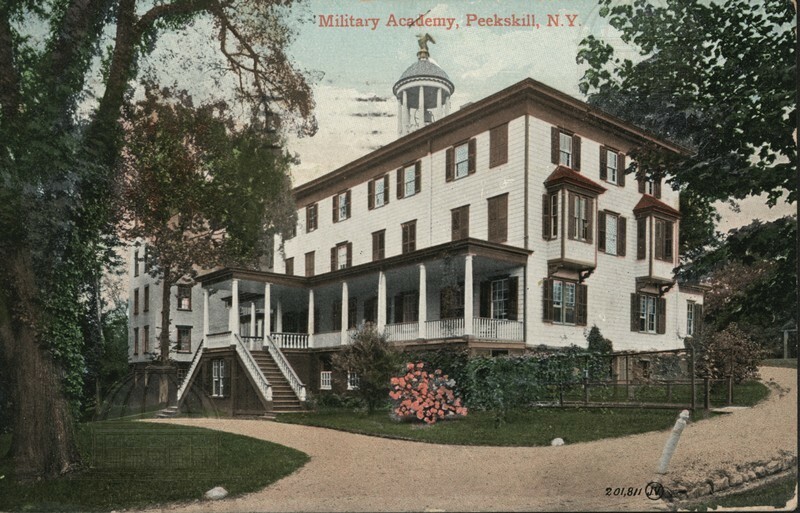 Color-tinted photograph of the Military Academy in Peekskill. 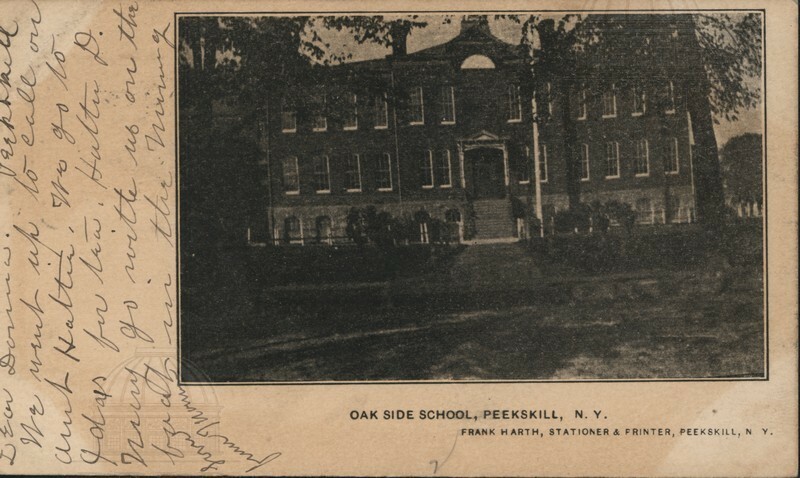 Black & white photograph of the Drum Hill School in Peekskill. Handwriting reads, "Will you please tell Mamma that I am having such a fine time they want me to stay until Saturday. 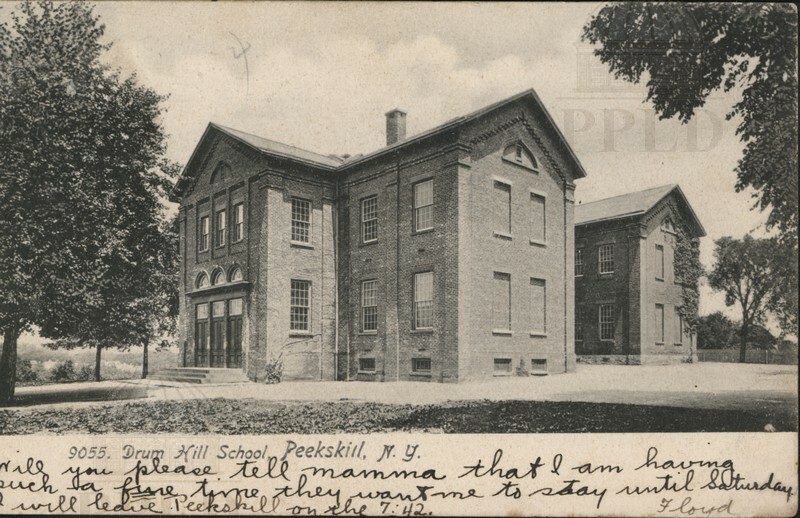 I will leave Peekskill on the 7:42. -Floyd." 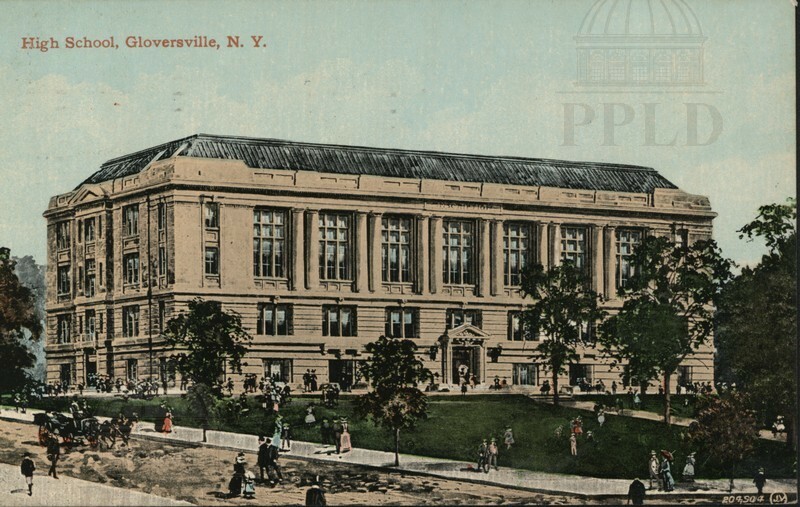 Color-tinted photograph of the high school in Gloversville. 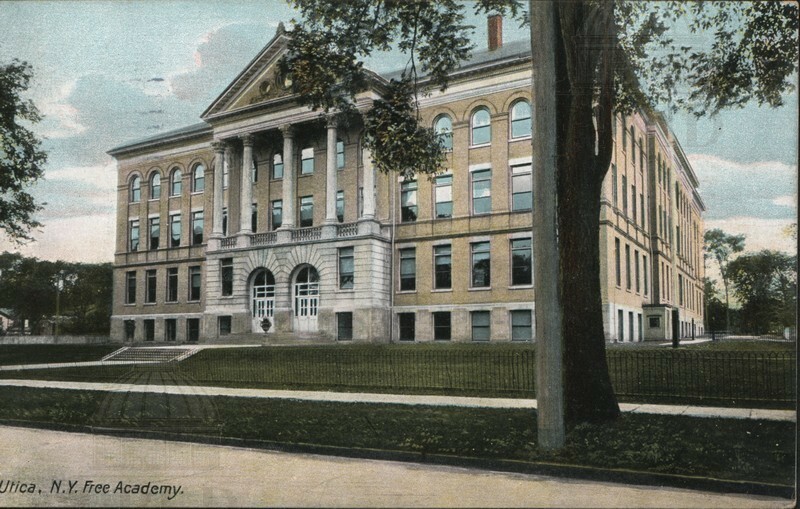 Color-tinted photograph of the Utica Free Academy. 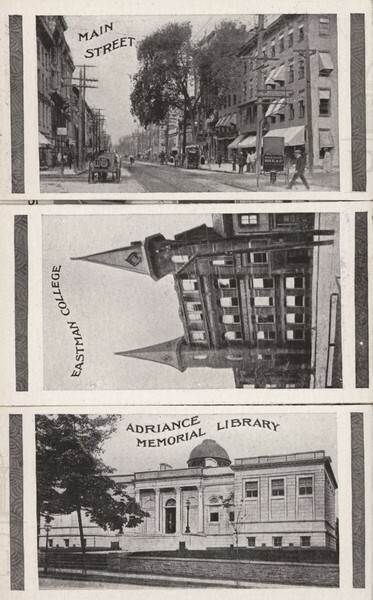 Triptych, black & white photographs of Main Street, Eastman Business College, & the Adriance Memorial Library in Poughkeepsie. 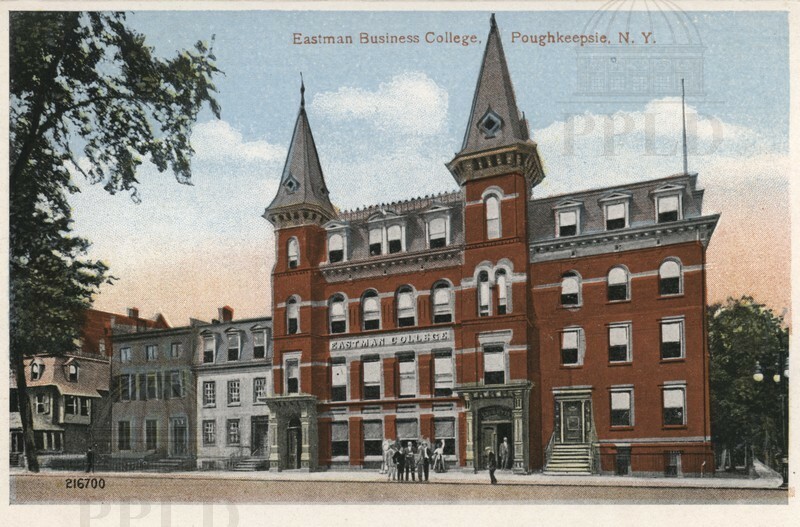 Color-tinted photograph of the Eastman Business College in Poughkeepsie. 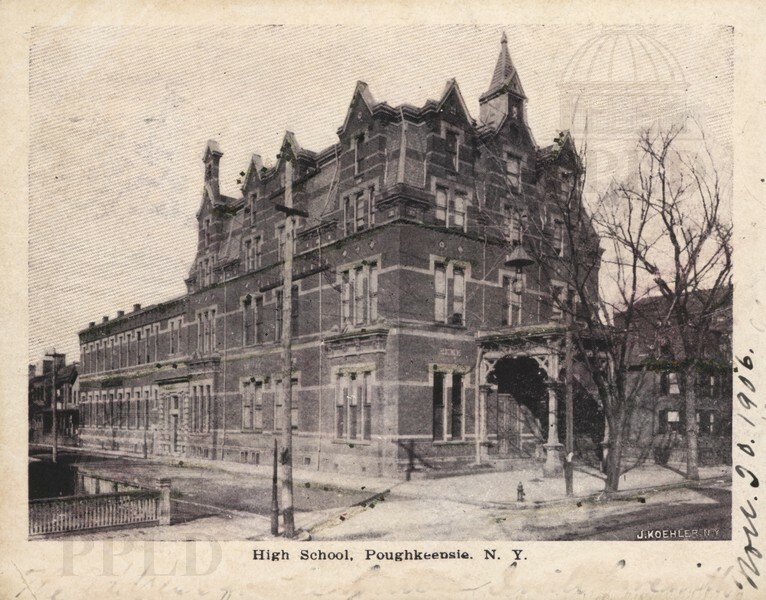 Part of an accordion fold souvenir set, with 838a-n.
Black & white photograph of the Putnam Hall school in Poughkeepsie. 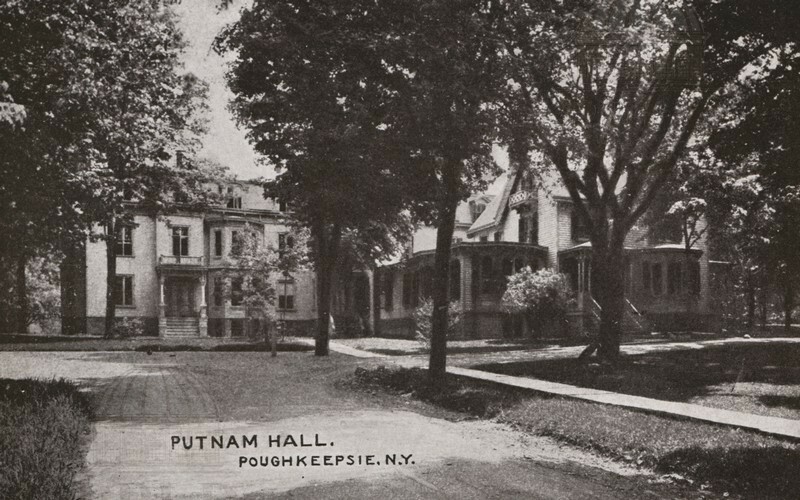 Sepia-toned photograph of the Putnam Hall school in Poughkeepsie. 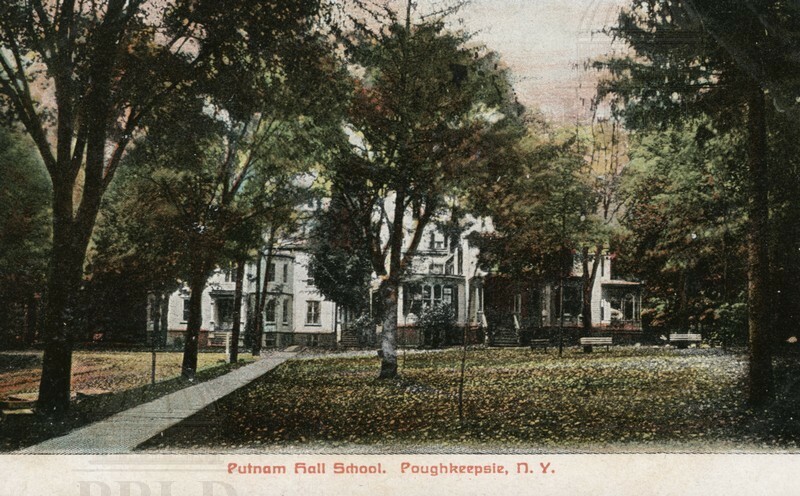 Color-tinted photograph of the Putnam Hall School in Poughkeepsie. Handwriting at bottom reads: "Dear Cousin! We will be over to see you Sunday if convenient. With Love. Mary. 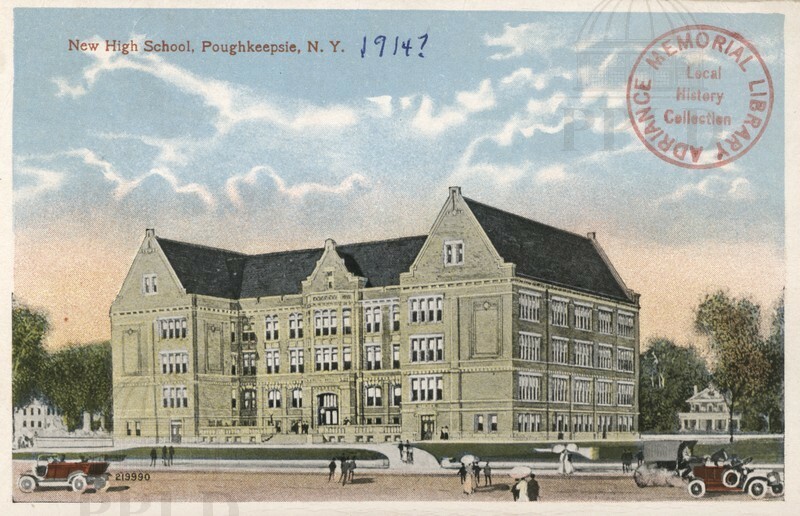 E."
Color-tinted photograph of the Putnam Hall School in Poughkeepsie. 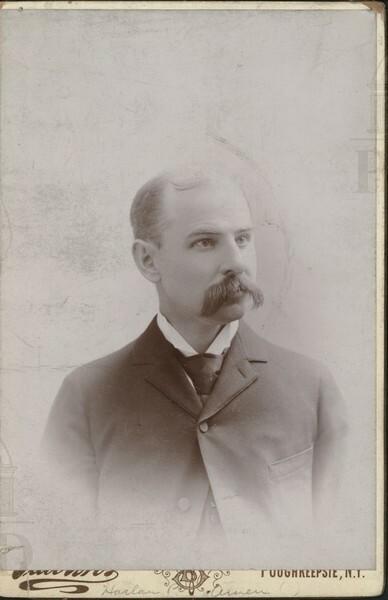 Handwriting at bottom reads: " July Fourteenth 1906. 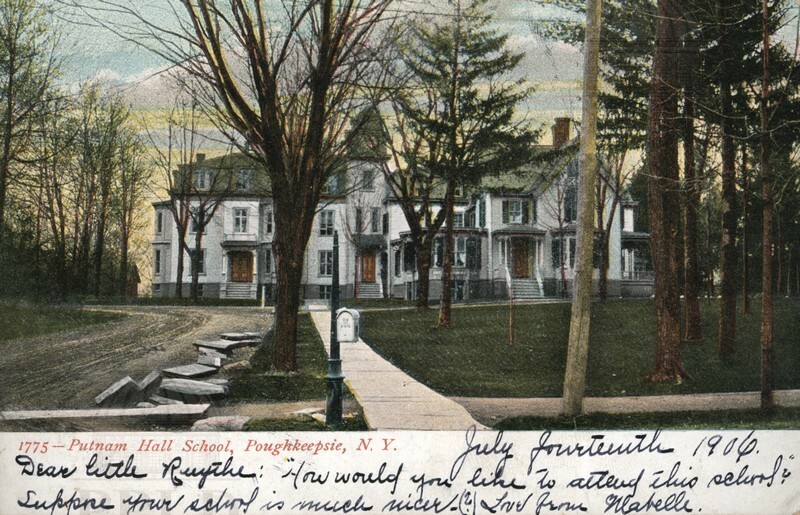 Dear little Ruythe: How would you like to attend this school? Suppose your school ins much nicer? Love from Mabelle." 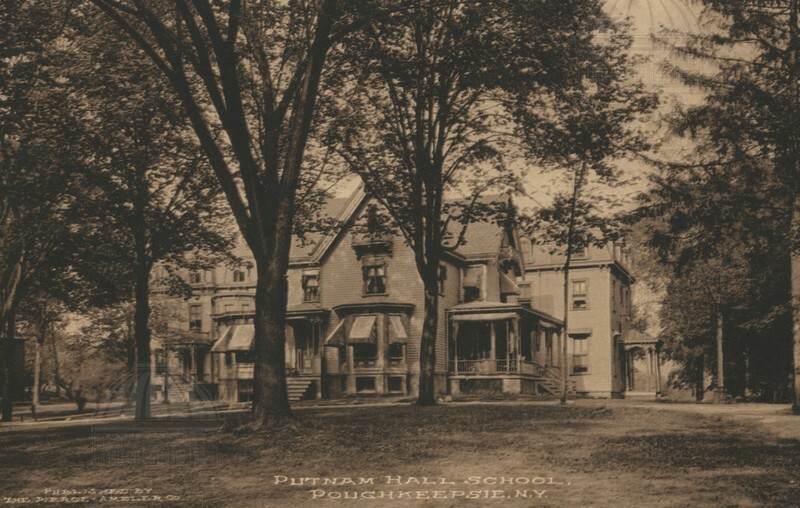 Green-tinted photograph of the Putnam Hall School in Poughkeepsie. 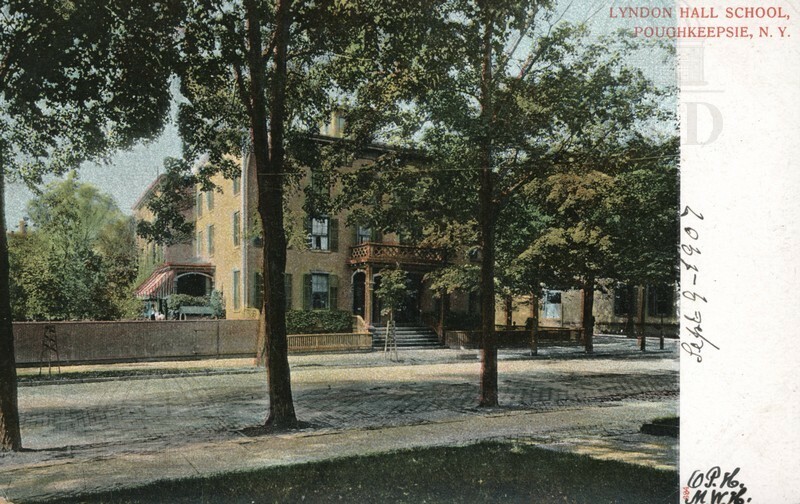 Color-tinted photograph of the Lyndon Hall School on Mill Street in Poughkeepsie. 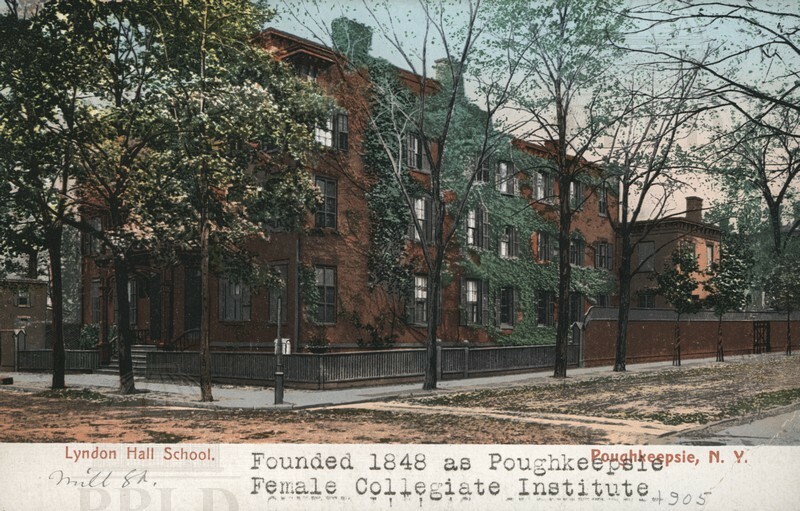 Typewritten on bottom: "Founded 1848 as Poughkeepsie Female Collegiate Institute." 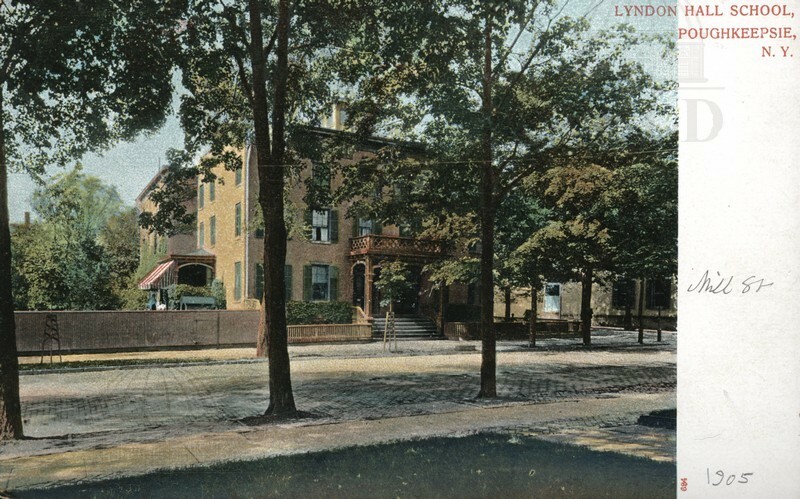 Color-tinted photograph of the Lyndon Hall School on Mill Street in Poughkeepsie. 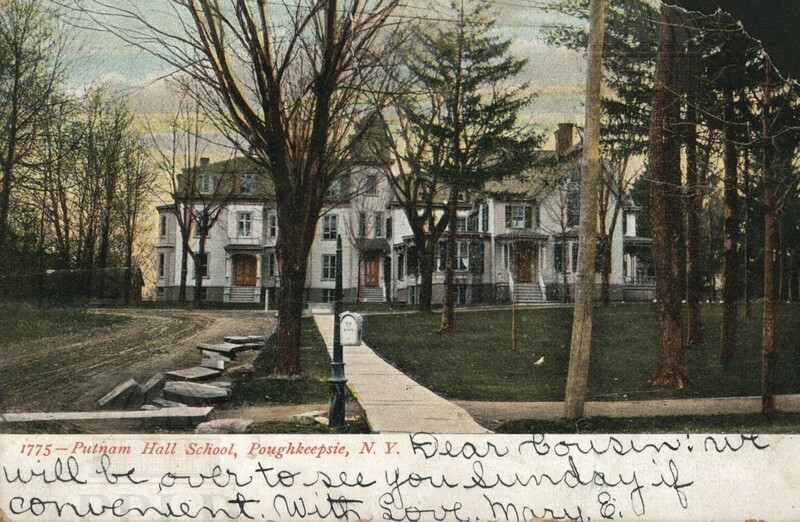 Handwriting on edge reads: "Sept 9-1907 G.P.H. M.W.H." 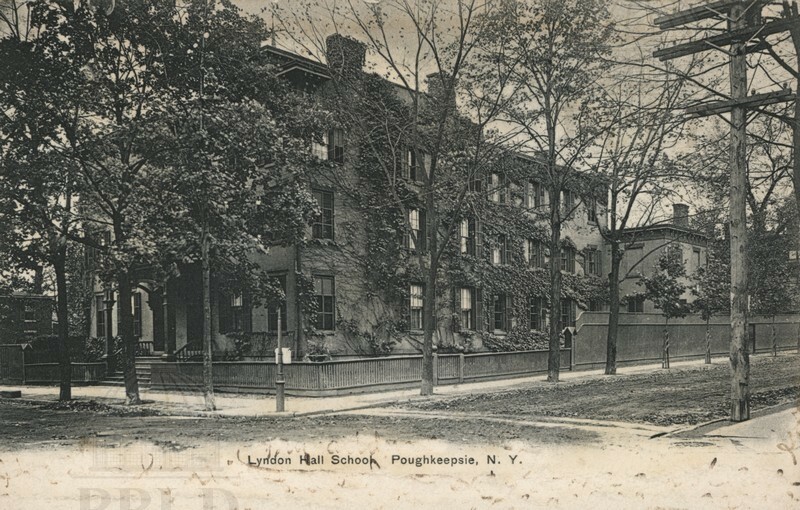 Black & white photograph of the Lyndon Hall School on Mill Street in Poughkeepsie. 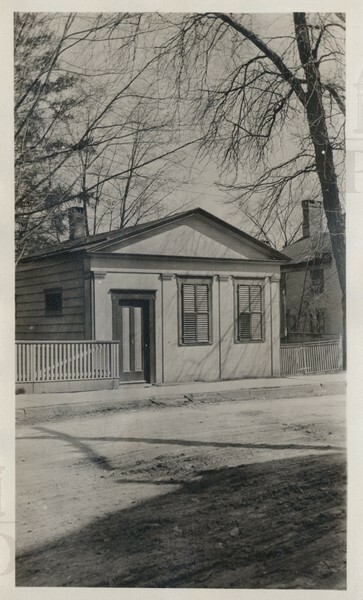 Sepia-toned photograph of Miss Tappen's Schoolhouse, located on the east side of Garden Street in Poughkeepsie. 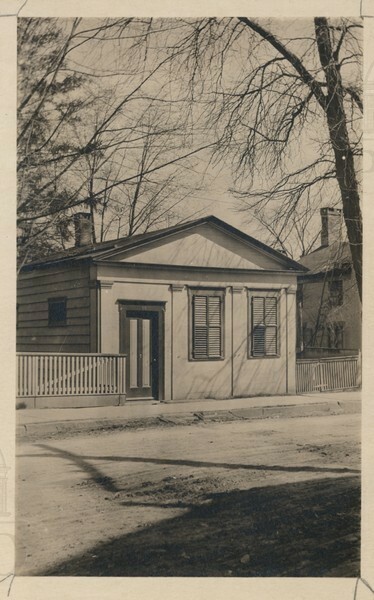 Black & white photograph of Miss Tappen's Schoolhouse, located on the east side of Garden Street in Poughkeepsie. Not a postcard. 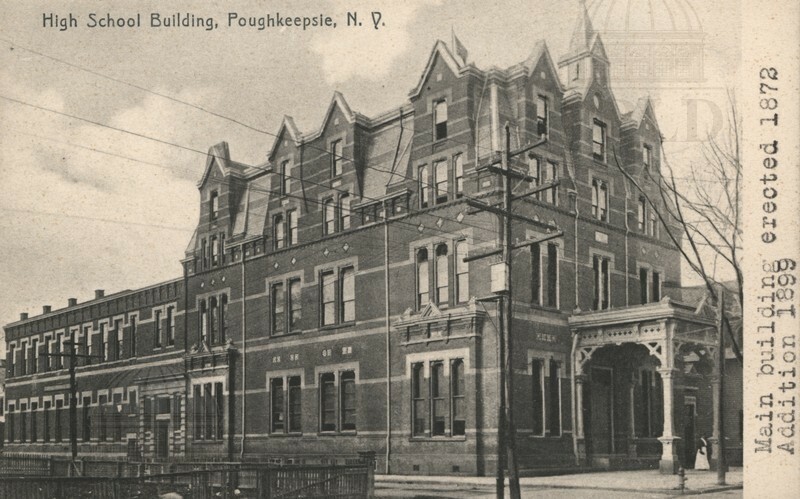 Black & white photograph of the Poughkeepsie High School, located on LaFayette Place & Washington Street. 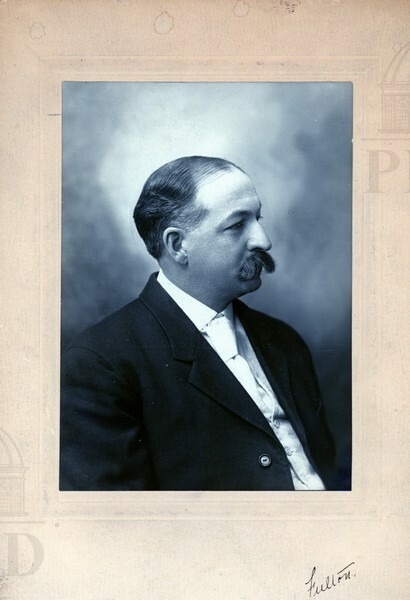 Handwriting on the edge reads: "Nov. 20, 1906." 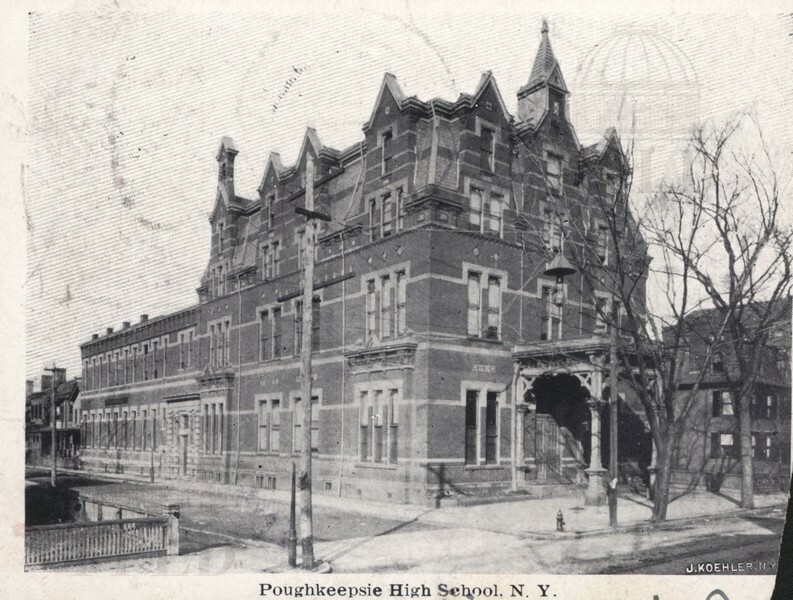 Black & white photograph of the Poughkeepsie High School, located on LaFayette Place & Washington Street. 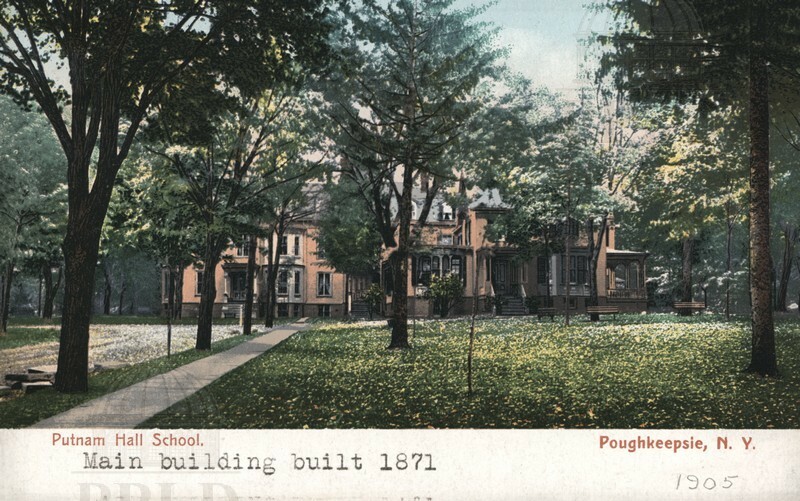 Typewritten text on the edge reads: "Main building erected 1872. 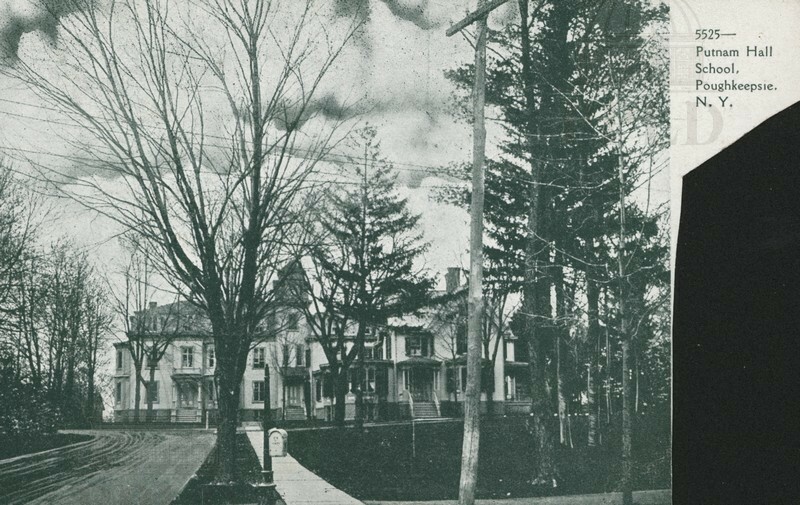 Addition 1899." 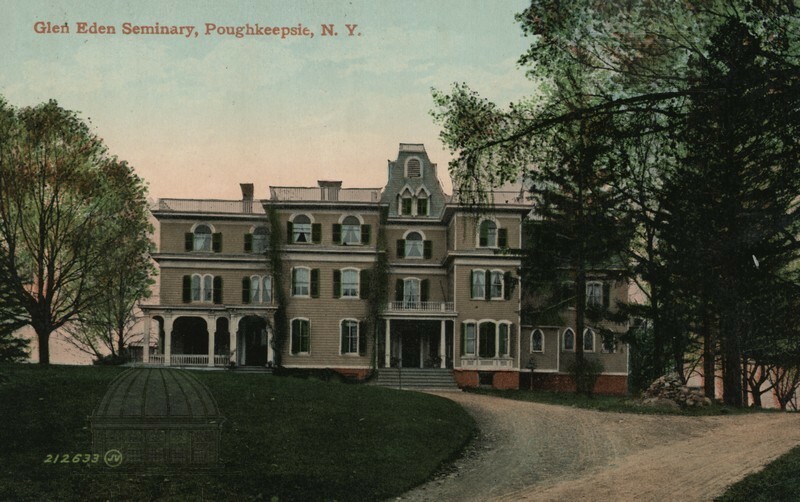 Color-tinted photograph of the Glen Eden Seminary in Poughkeepsie.